You have about 500,000 thoughts every day. Some of them are conscious, but many are thoughts in your subconscious mind – you’re not even aware of them. The types of thoughts you think directly correspond to how you feel. If you are thinking lots of negative thoughts (up to 500,000 a day), you will end up with negative feelings. If you think a lot of worst case scenario thoughts, you will end up feeling scared and anxious. Cognitive Behavioral Therapy (CBT) is a scientifically proven, effective way to learn better ways to manage your thoughts, feelings, and actions/reactions. But why does CBT work so well and how does it work? Unfortunately, it’s not easy (perhaps impossible!) to “just think positive.” If it were that easy, you’d be doing it all the time. In order to feel better, your brain needs a systematic way to learn how to change that negative thinking. Cognitive behavioral therapy (CBT) provides that proven and effective method to do just that. You have billions of neurons in your brain. 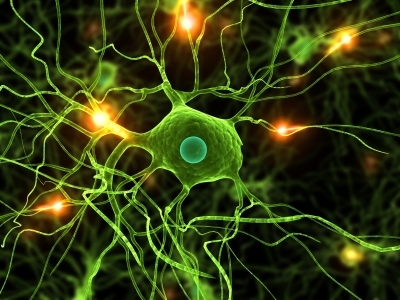 To form a single thought, a group of neurons connect to each other to create a neural pathway – and that neural pathway is the thought. As you think a different thought, those neurons scurry away and connect up with other neurons to make new thoughts. The more you think the same old thoughts, the more cemented that neural pathway becomes. It becomes a paved freeway like I-94! At that point, it becomes what is called “the automatic pathway”. Your brain quickly and automatically repeats that old way of thinking because you have pre-paved the way with your past thinking. 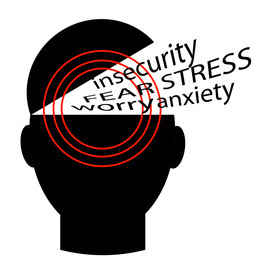 Many people think that external situations in their life are what cause anxiety. Honestly, none of these things in and of themselves can create anxiety. Life certainly presents difficult and stressful situations. With a CBT therapist you can learn concrete ways to think differently about the same situations, and thus, feel better (and have less anxiety) even when the situation still exists. CBT is really growing right now because so many scientific studies prove CBT is the most effective treatment for many things, including anxiety, panic attacks, depression, insomnia, weight loss, chronic pain, and more. CBT works to literally rewire the way your brain thinks, thus it offers long-term results. CBT is one of the main techniques I use with all my clients – for making any type of long-term change they want to make. Think better thoughts, feel better, and live a happier life!